continuous flow of people to see. the best insurance agent leads are referrals. Why should you develop this concept? 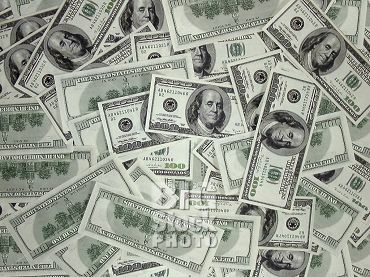 See this big pile of money! That's Why. secret weapon of the super stars. These two concepts can provide you all the free life insurance leads you will ever need. It will take about 15 to 20 interviews to master the concept, but once you get it mastered, you will love it. but just like anything else, you need to crawl before you can walk, and walk before you can run. The Referred lead card system is where an agent should start and after you have a solid client base, use the Appreciation Dinner in concert with seminars and so on. Referred leads, are by far your absolute best life insurance leads. They are at the top of the prospecting ladder. If you have not created a system to generate referrals, then here are a couple of ideas for you that have been proven to be very successful. I used these systems for over 20 years and trained many new associates to use both of these concepts as an insurance agent lead system. Once you become comfortable with them, you will be working smarter and not harder. Now let’s work on your life support system. Part of any success formula revolves around a persons mind set. You either accept what needs to be done and do it, or not. So what you need to do is create a complete selling presentation for referred leads. An orderly process which we commonly refer to as a system. One of my mentors many years ago told me that everything we do in life requires some type of selling situation. Think about it for a second. We are trying to sell people on the idea to give us an interview, you try to sell your wife on why you should be able to play golf this weekend, and you try to sell your kids on why they should get better grades in school and so on, and so on. So the situation for getting referred leads is no different. If you want to generate referred leads, you must realize it requires a selling situation. It is a system that you need to practice. It will probably feel awkward at first, but once you get it, you will love it. Why do most insurance agents struggle for leads? They do not ask for insurance agents leads properly, and that is that they never had anyone really teach them or provide them with a reliable system. Is there anybody you can refer me too? Who do you know that I should talk too? Well, if you ask that question, which is a closed end question (yes or no answer) guess what, most of the times you will get - NO. So your mind set has to change from asking the simple question "like who do you know?" and change it to a super star mind set and understand that you must go through the selling process of getting referrals. If you really commit to this idea, you will then have an insurance selling system that will provide you an unlimited and continuous supply of people to talk too about your product. This form of insurance agents leads, (called referrals,) are the most rewarding and the most profitable. So for you to increase your income and make your life easier I have included the above (2) links. Each article includes the actual process and sales presentation that I used to generate insurance agent leads. We also provide you a copy of the script and card system. I would suggest you read and start with the referred lead card system first. Learning how to use concept selling is also a very important part of selling insurance and getting leads. If you use these above insurance sales tips to help you generate insurance agent leads, your insurance career will become more gratifying.